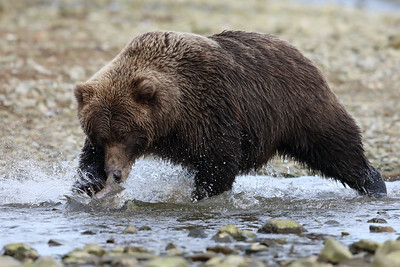 From my coastal Katmai National Park trip, I have lots of images of brown bears chasing and carrying salmon, but this one surfaced for several reasons. 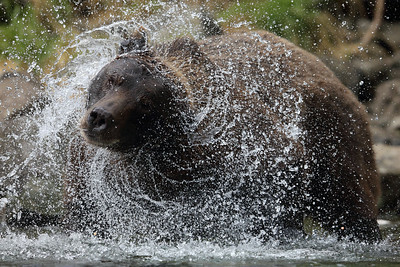 First, there is significant splashing. 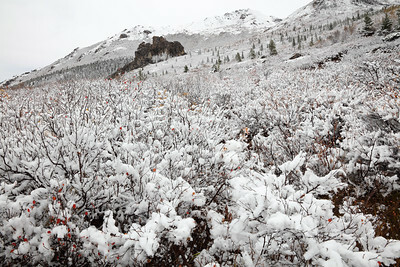 The spalshing adds drama, showing that fast action is taking place. 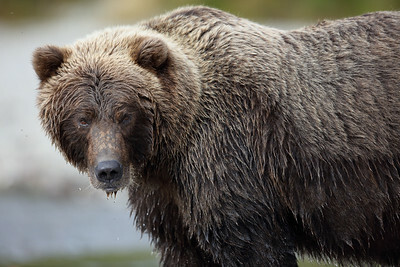 Second is that the pink (humpback) salmon's tail and head (including eye) are both showing along with the bear's eyes being visible. 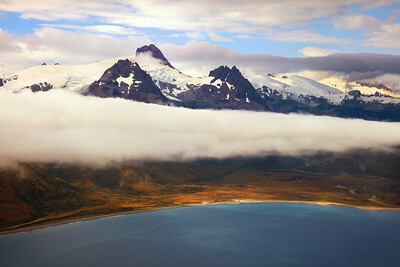 Having the eyes in an image can make or break a shot. I of course love the ideal timing of those enormous claws about to hook the fish. 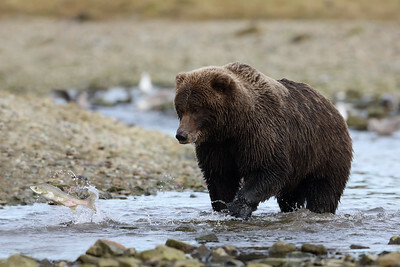 That the bear's head and the fish are sharply in focus is definitely a positive factor as splashing water along with an erratically moving subject presents a significant challenge to both the camera's AF system and to the photographer's skills (including rapid AF point selection). Put all of those attributes together with the impressive image quality of the Canon EOS 5Ds R (www.the-digital-picture.com/Reviews/Canon-EOS-5Ds-R.aspx) and EF 600mm f/4L IS II Lens (www.the-digital-picture.com/Reviews/Canon-EF-600mm-f-4-L-...) combination along with the primary subject being the impressive-by-itself brown bear and ... the image rises into my favorites album. 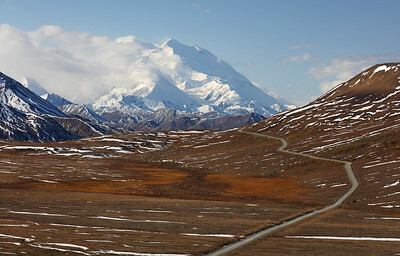 A close-up photo of a huge brown bear seems to be the ideal defining image for this location. 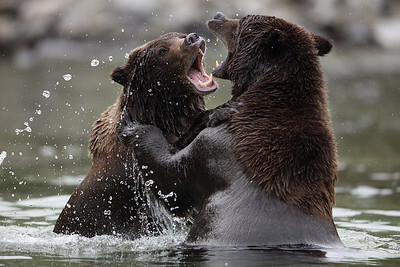 While these brown bear are technically fighting, they are mother and second year cub, so the fight is with reduced risk. 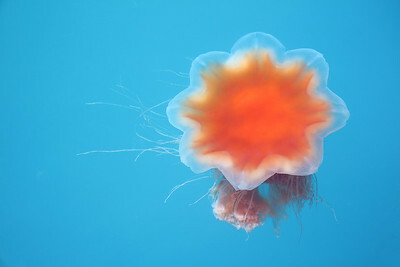 This lion's mane jellyfish (Cyanea capillata, AKA the giant jellyfish or the hair jelly) was found under the docks at Seward Harbor in Alaska. 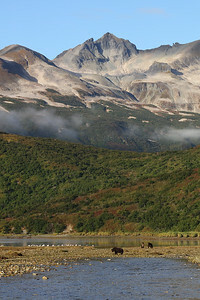 The bears I encountered in Katmai National Park were primarily catching salmon, eating salmon or resting. 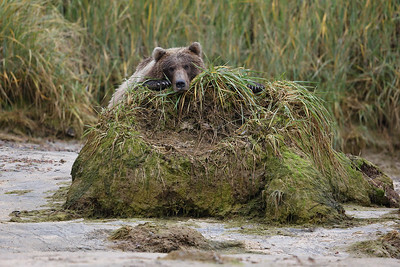 I thought this bear chillin on a mound of dirt looked humorous. Seemed like the appropriate photo to post on Valentine's day. 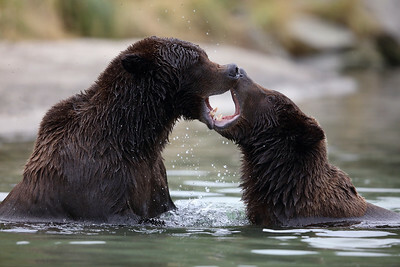 This is a mother brown bear playing with/training her second year cub. I think they are trying to make a heart shape together.